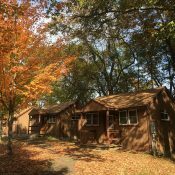 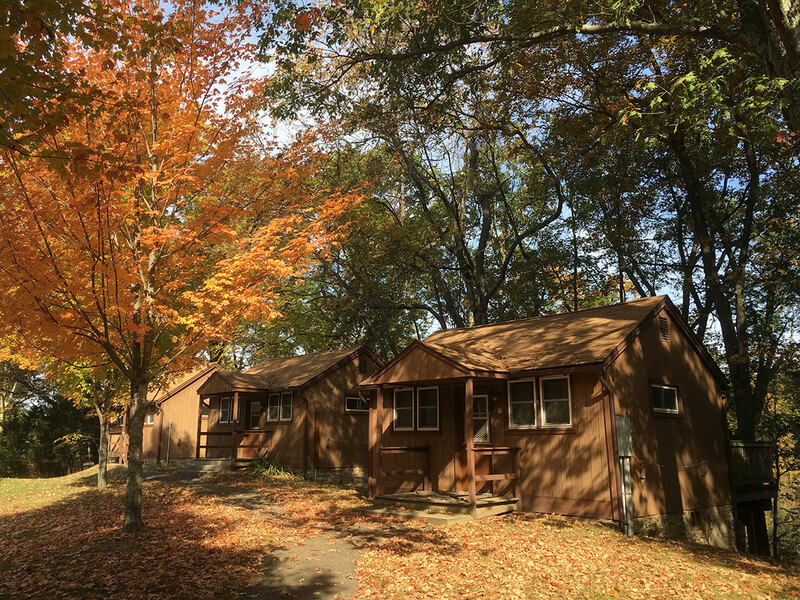 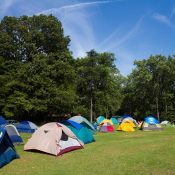 Manidokan welcomes religious and secular groups to use our 116 year-round beds, 64 seasonal beds, and rustic tenting locations for 500 or more. 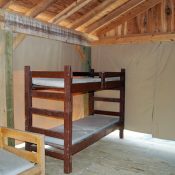 Each lodge accommodates up to 32 people in eight bedrooms; each room has a private bath and accommodates three to five people. 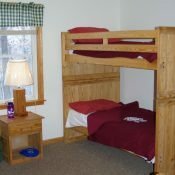 Beds have regular twin mattresses on a combination of single and bunk beds. 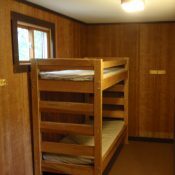 22 of the 32 beds are single or lower bunks. 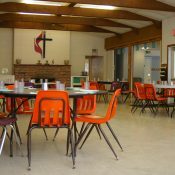 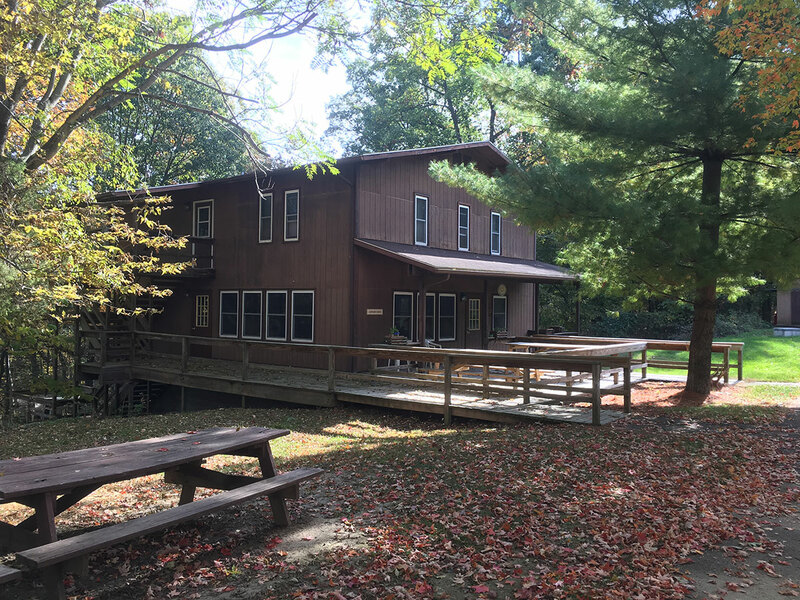 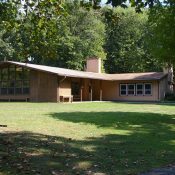 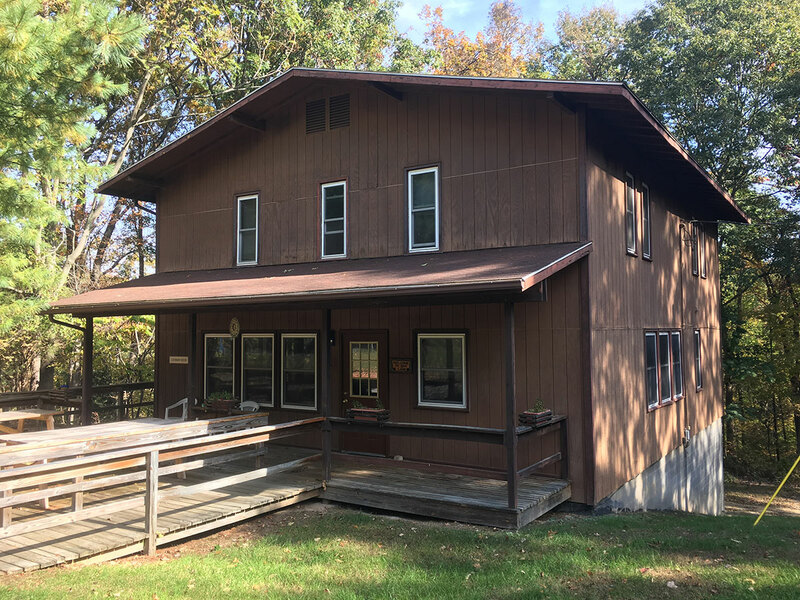 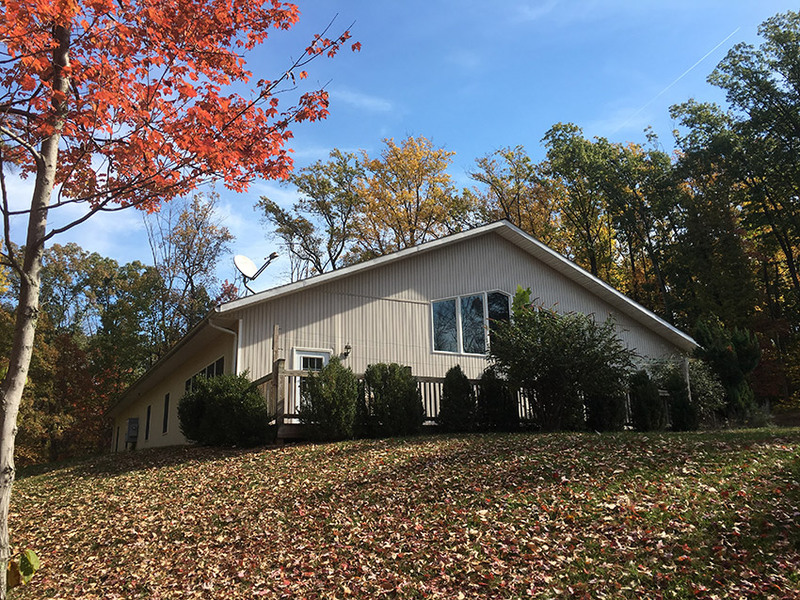 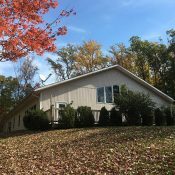 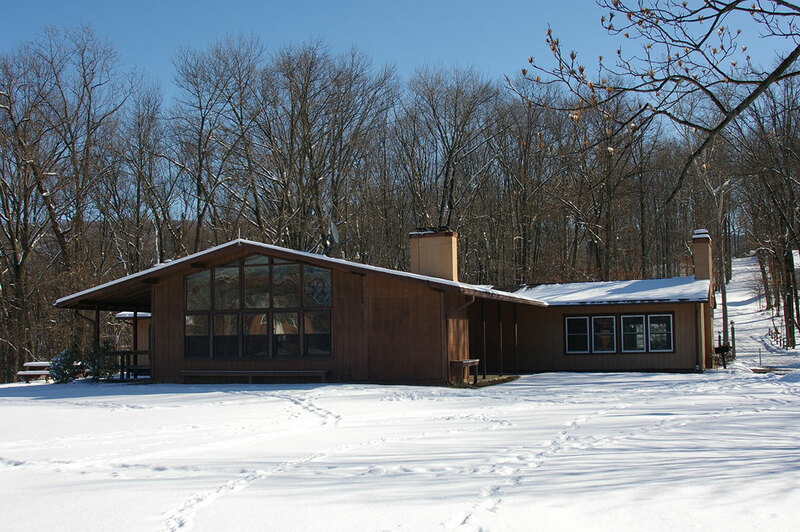 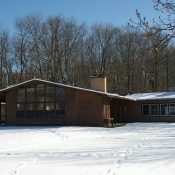 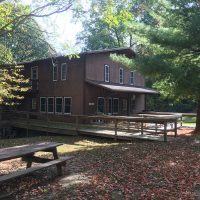 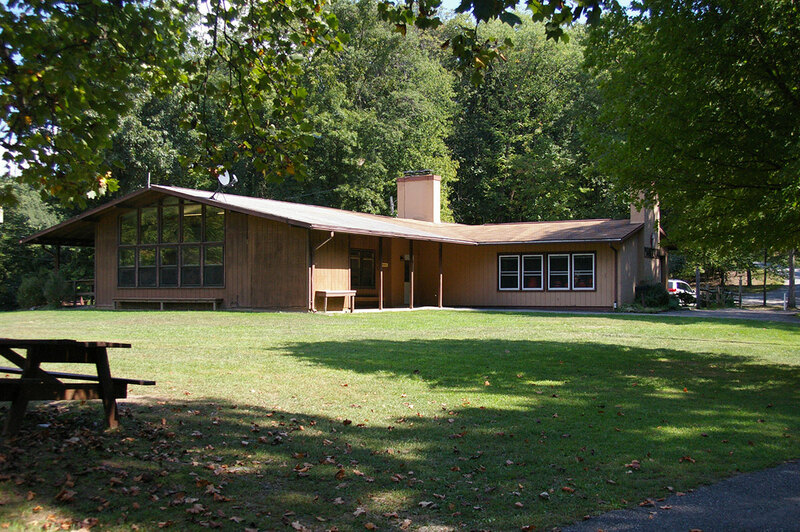 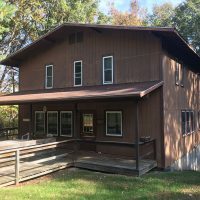 The buildings are air-conditioned and heated, and offer a snack area with coffee pot, refrigerator and microwave as well as large meeting area and expansive deck for places of fellowship. 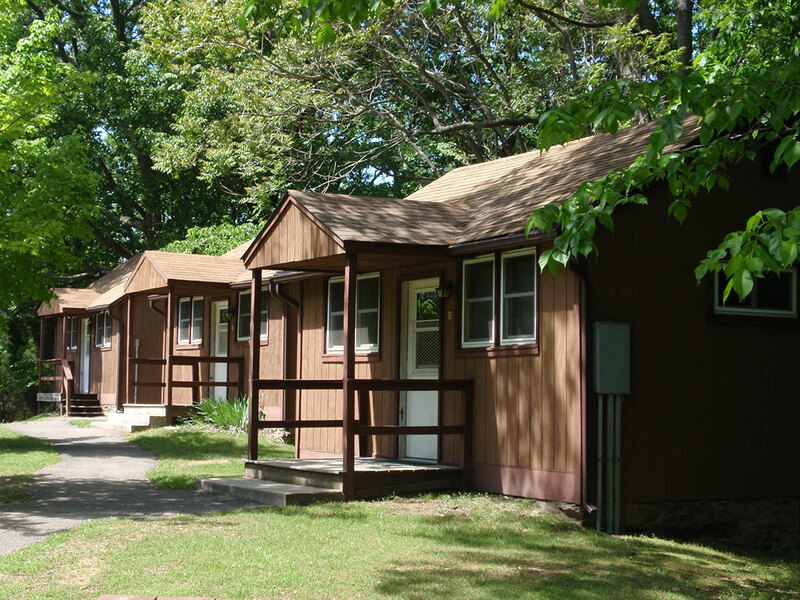 Each building is handicapped accessible. 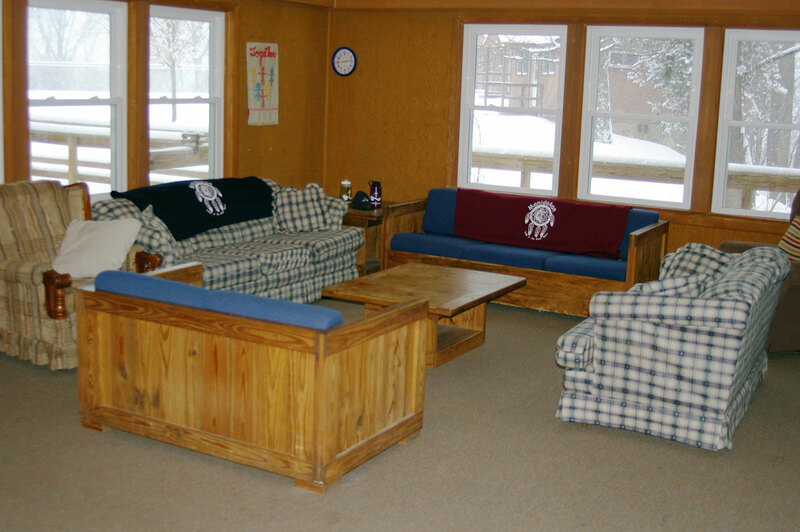 This two-story retreat lodge offers the perfect space for groups of 20 or less. 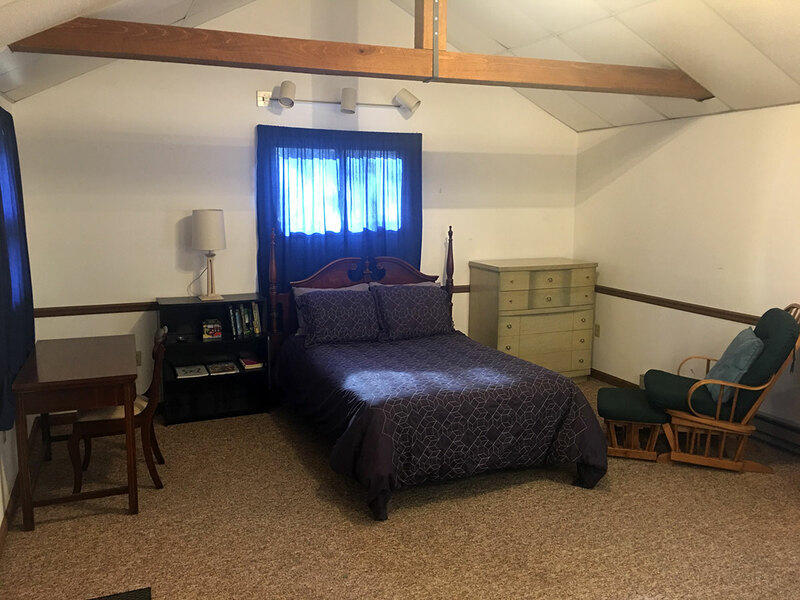 This space hosts six bedrooms on the second floor and three bedrooms on the ground floor, each with community baths. 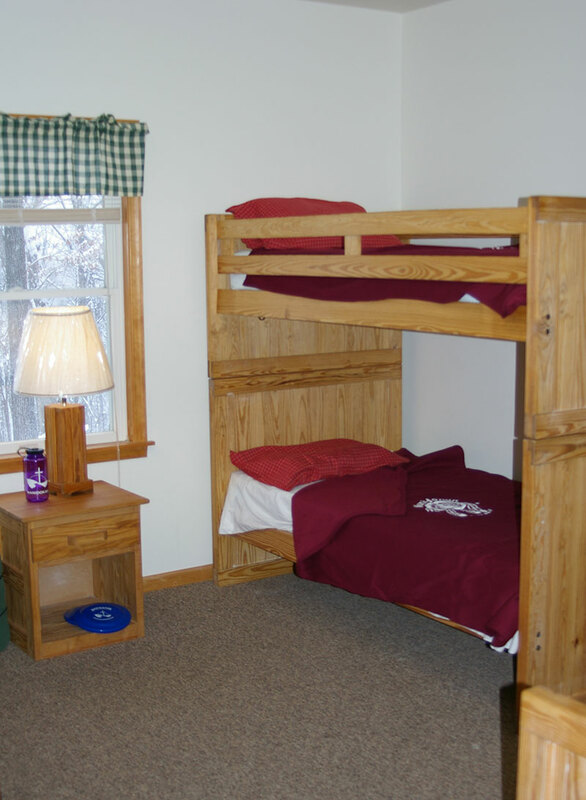 One of the first floor bedrooms has a private bath and could be used as a leader’s room. 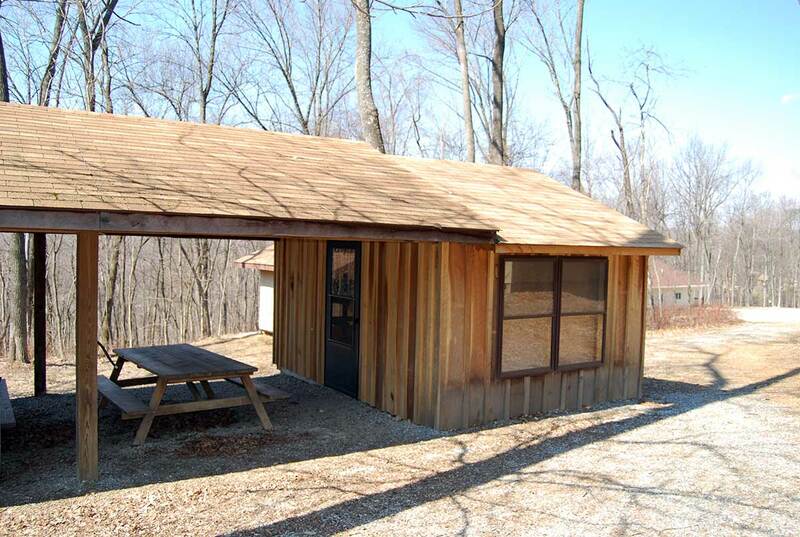 The ground level offers a meeting room and snack area as well as large deck overlooking the main camp compound. 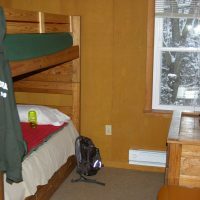 Wireless internet is available. 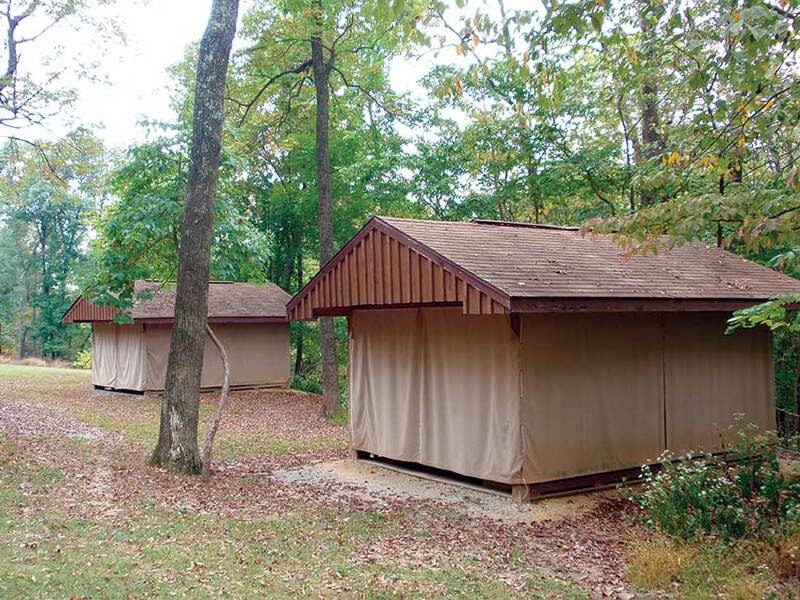 Each of the four cabins is heated, carpeted and sleeps eight people. 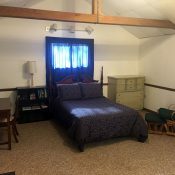 A smaller room offers space for two while the larger room offers sleeping for six. 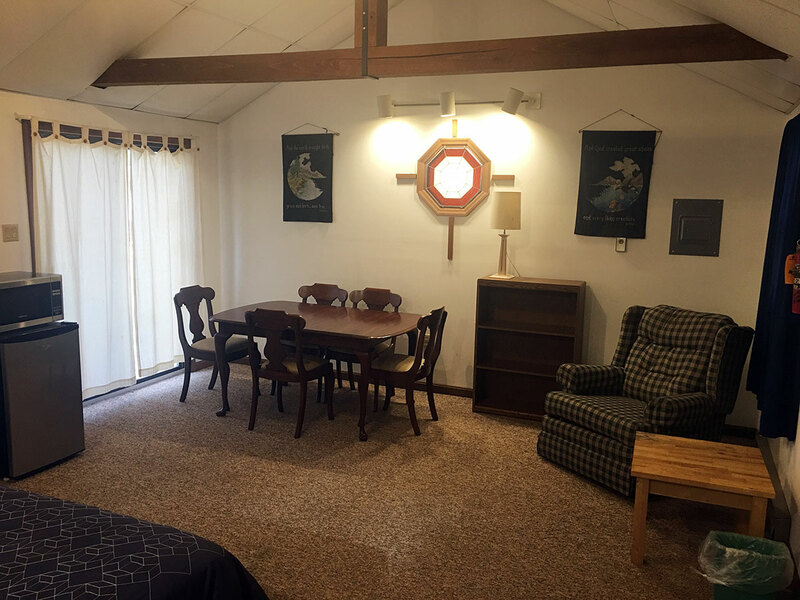 Groups have use of the nearby bathhouse for restroom and shower needs and a large meeting area that accommodates up to 32 people with wireless internet accessibility and a snack area. 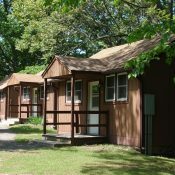 Cabins can be reserved as individual cabins or may be used in conjunction with other facilities. 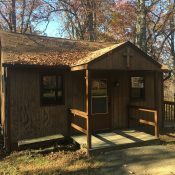 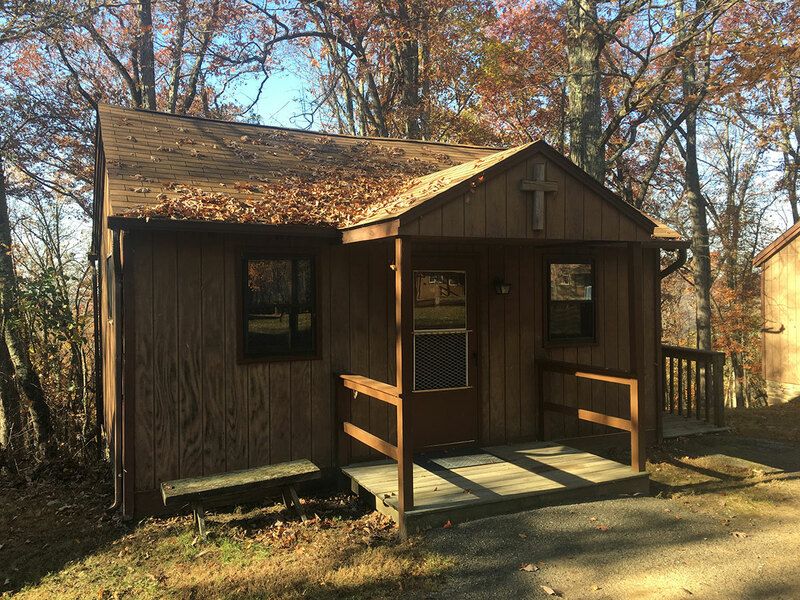 One cabin may be used a leader’s room and is offered for clergy as a place of personal retreat. 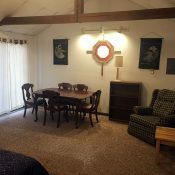 It offers a full-size bed, comfy reading chair, desk, mini-fridge, microwave and deck overlooking the Potomac River. 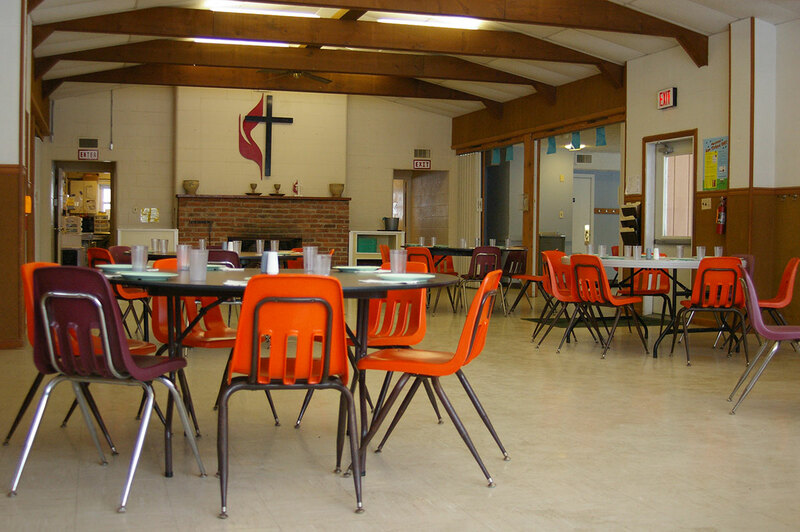 This building houses our kitchen and dining facilities. 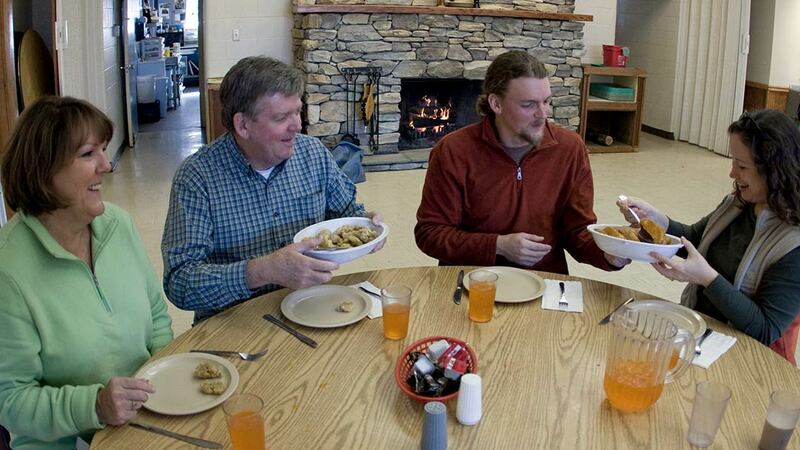 Guests enjoy delicious and healthy meals prepared by our staff and served family-style. 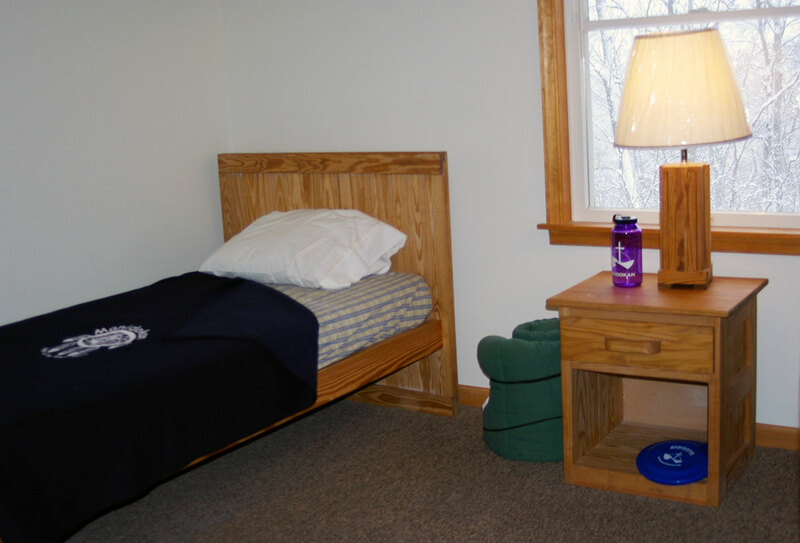 Most special dietary needs can be accommodated if arrangements are made in advance. 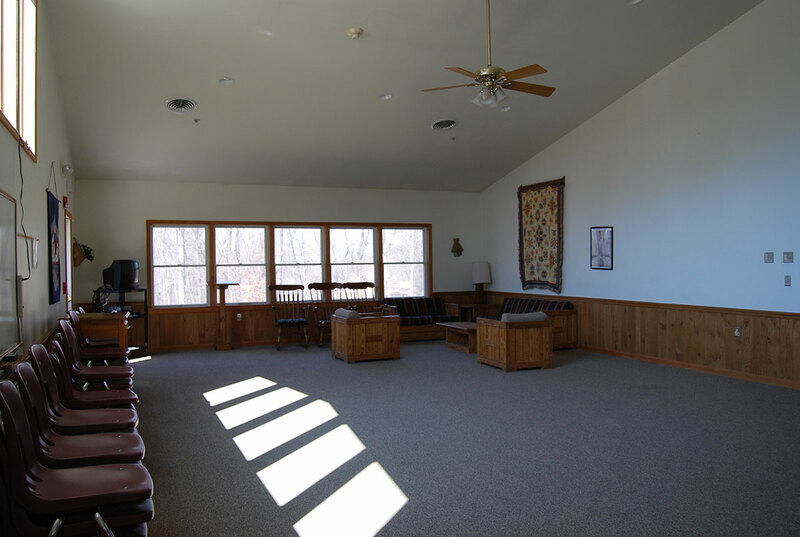 This is our largest indoor space and can be reserved for large gatherings. 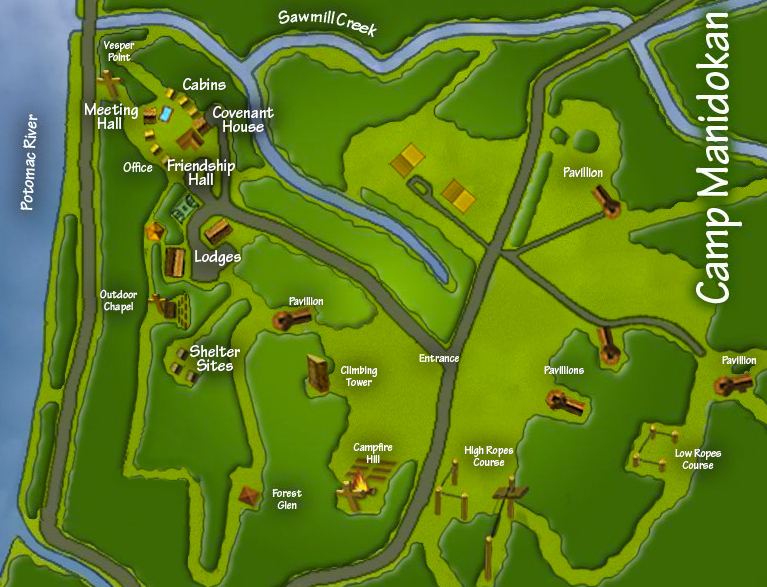 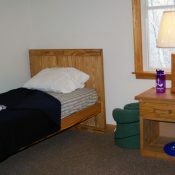 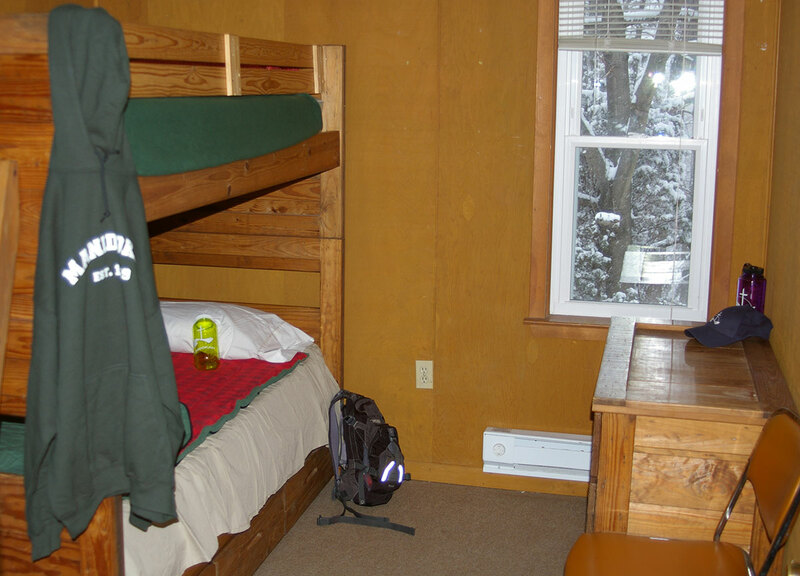 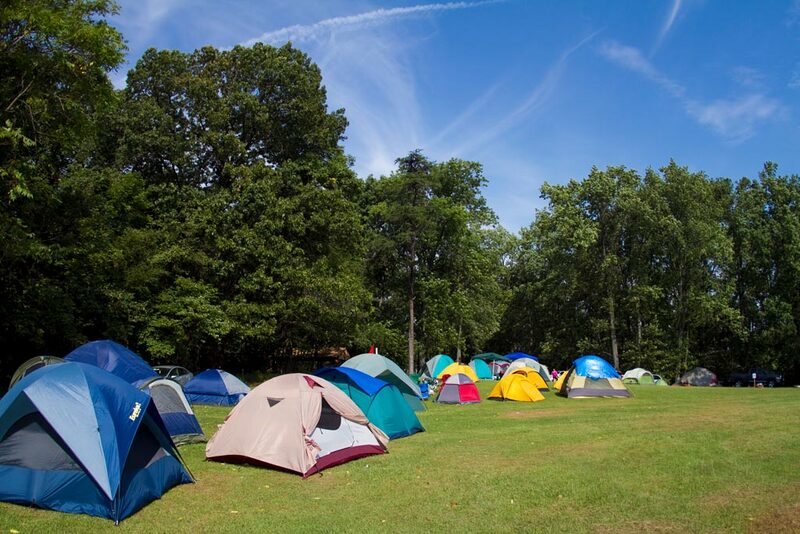 Friendship Hall also holds our camp store and has wi-fi accessibility. 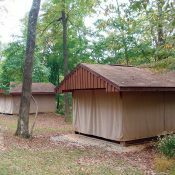 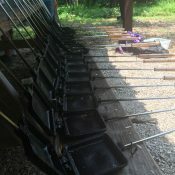 These two sites each offer four shelters (which are like a mix between a cabin and a tent having a solid floor and roof with canvas sides) for groups who are looking for a more rustic experience. 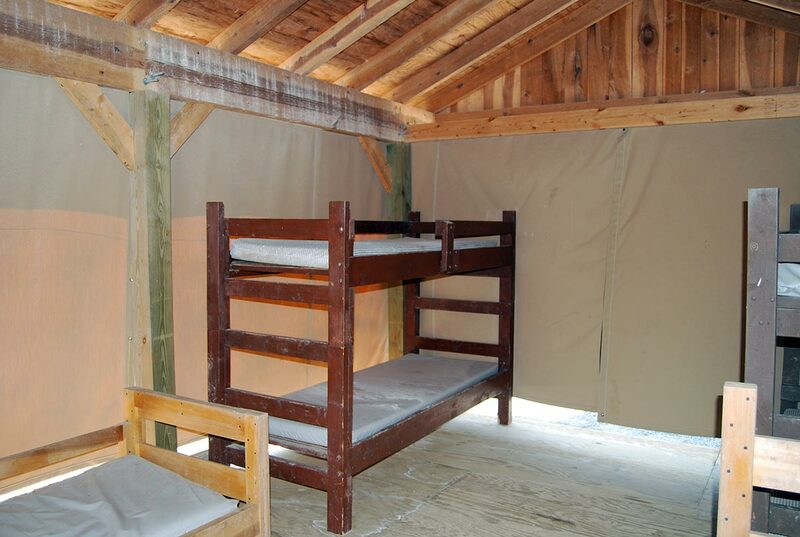 Each shelter sleeps six people on bunk beds. 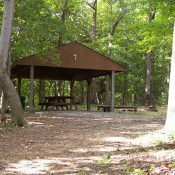 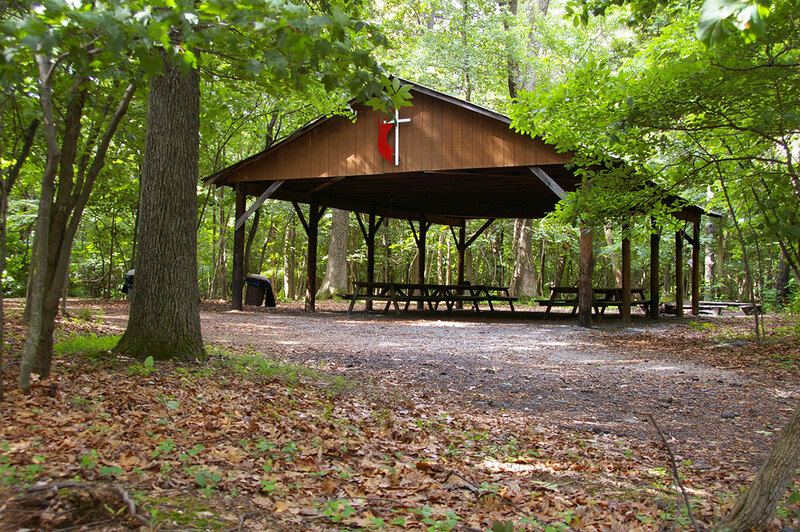 A large covered pavilion area offers group space with picnic tables and adjacent leader’s sleeping quarters. 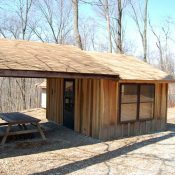 There is no electricity and guests must use the bathhouse for restroom facilities. 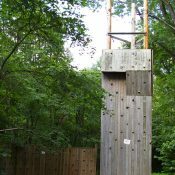 Participants can warm up on our bouldering wall (a horizontal climbing wall) and then be challenged on a 30-foot climbing wall offering multiple sides with different levels of difficulty varied by holds and inclines. 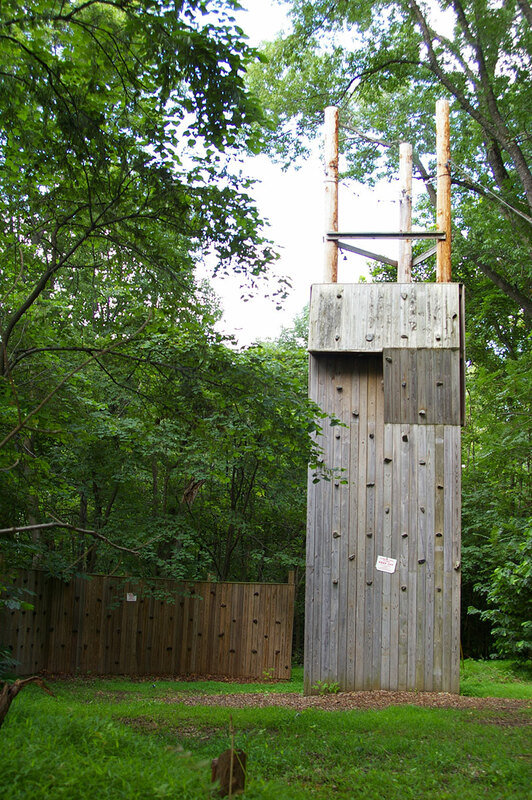 Climbing is led by Manidokan staff and is dependent on weather conditions. 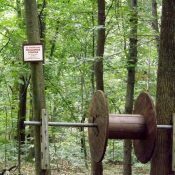 Must be reserved in advance. 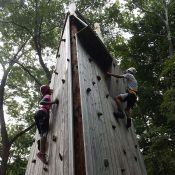 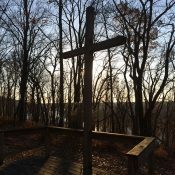 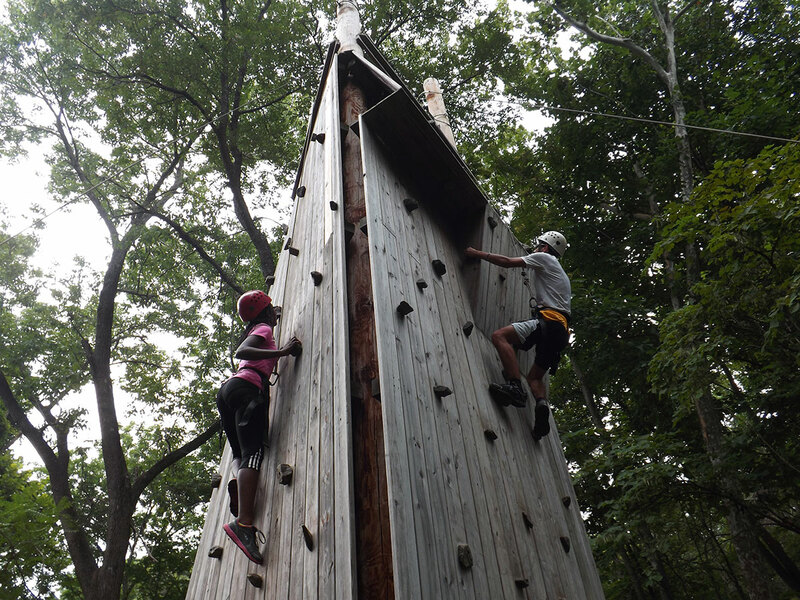 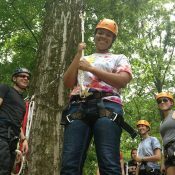 A challenge course will enhance any retreat experience by emphasizing group communication, trust, leadership/cooperation and faith building. 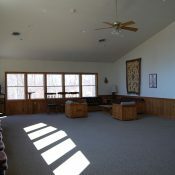 Groups of 8-12 people per are led by Manidokan staff for a two to three hour session. 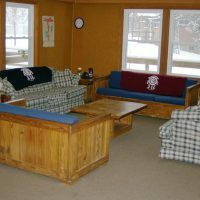 Activity is dependent on weather conditions. 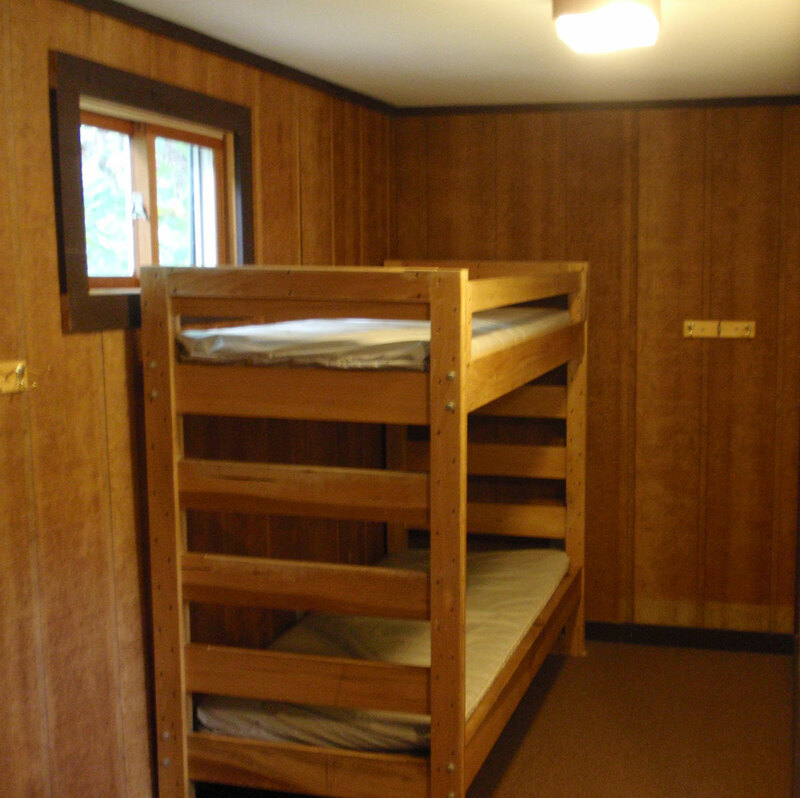 Must be reserved in advance. 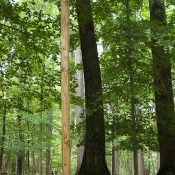 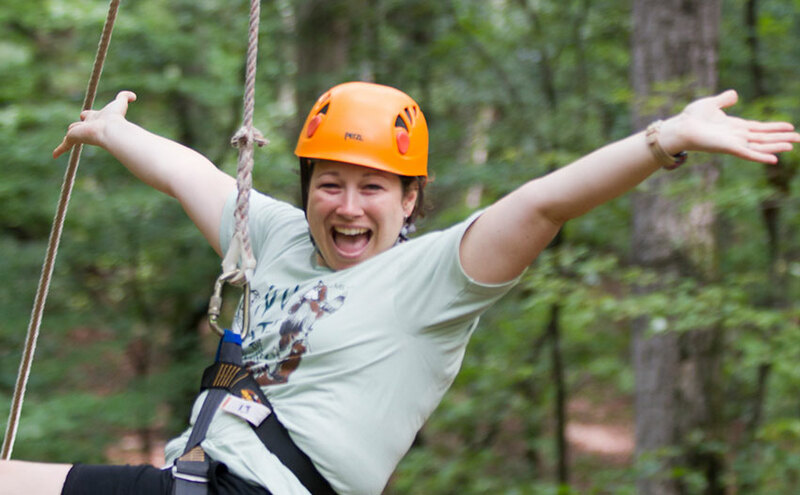 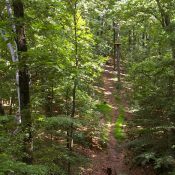 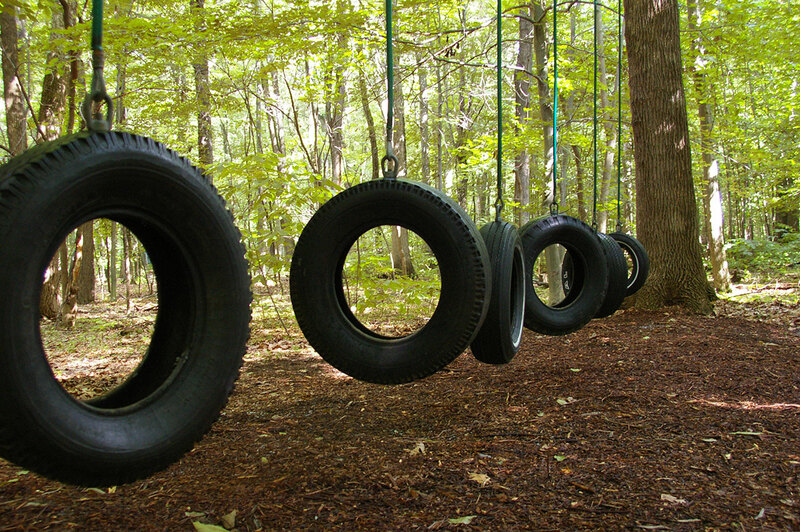 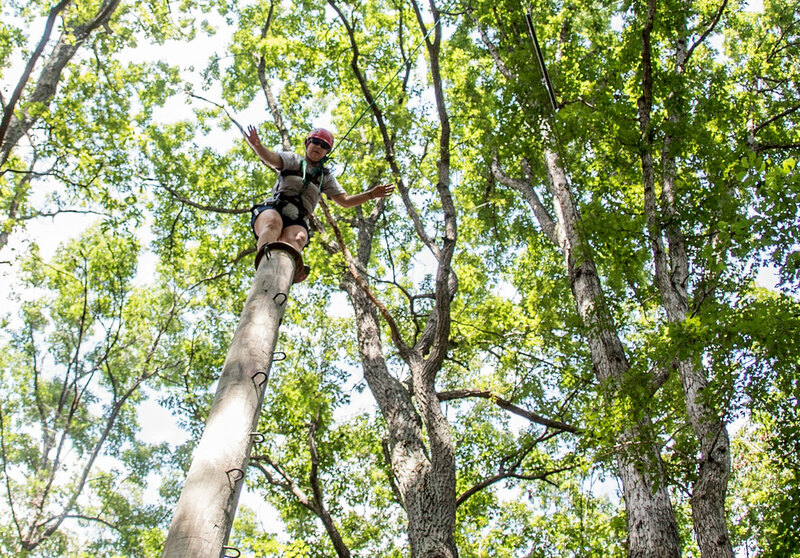 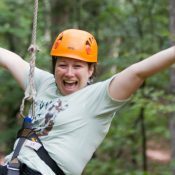 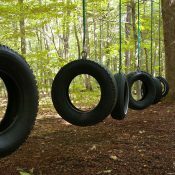 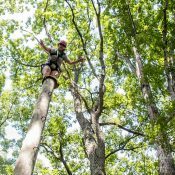 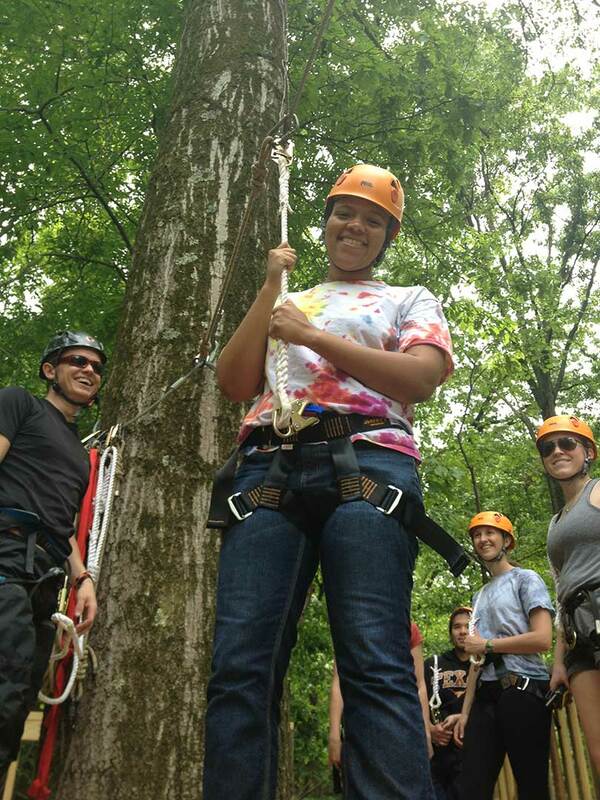 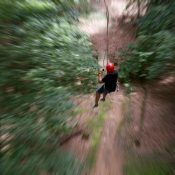 Manidokan offers three different high ropes challenges: Pamper Pole, Flying Squirrel, and Bridges. 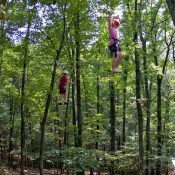 These activities will have you soaring 20-40 feet above ground and are sure to add excitement to your event. 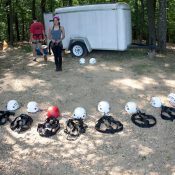 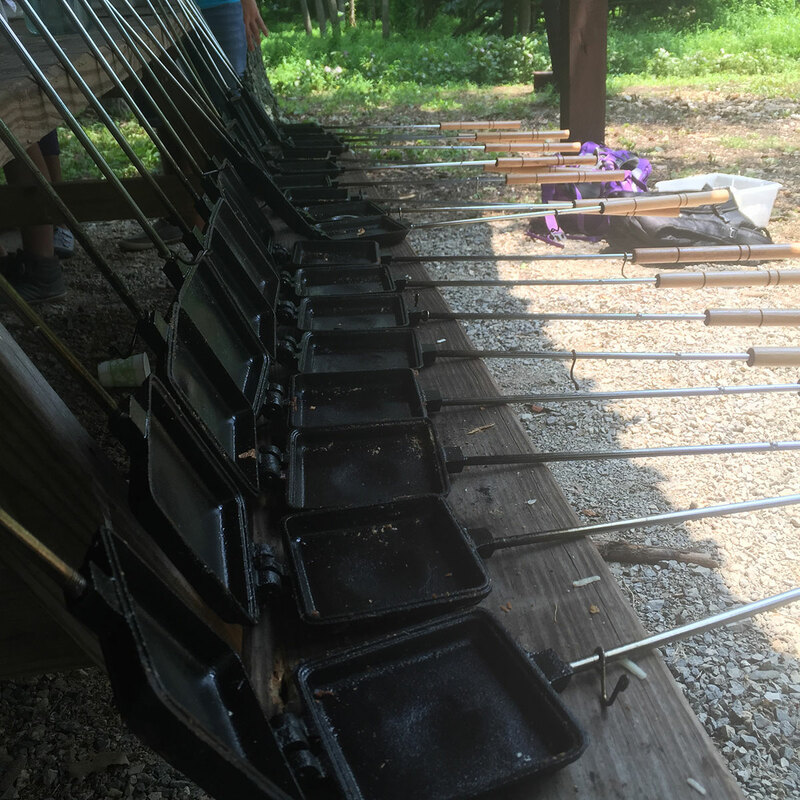 Contact Manidokan to find out availability and to discuss which element is best for your group. 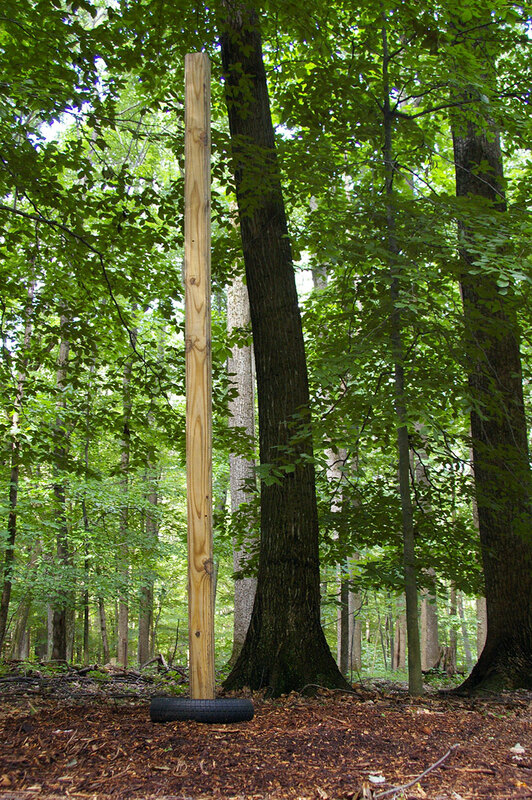 Groups are led by Manidokan staff and are dependent on weather conditions. 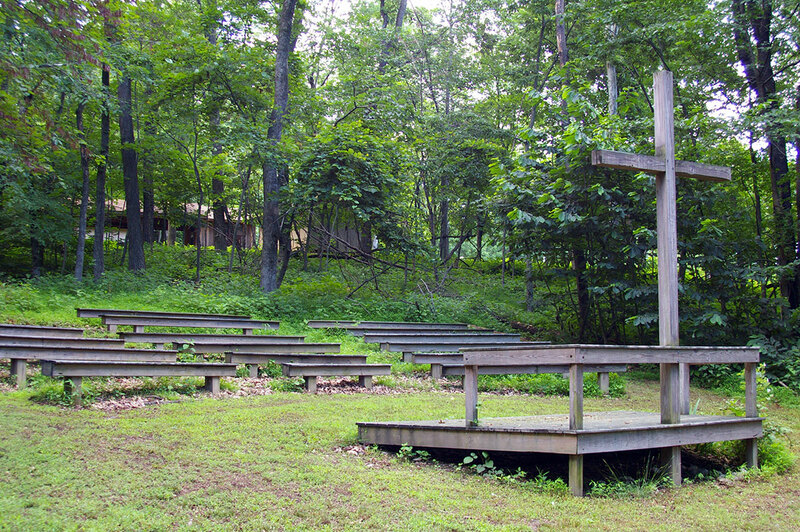 Must be reserved in advance. 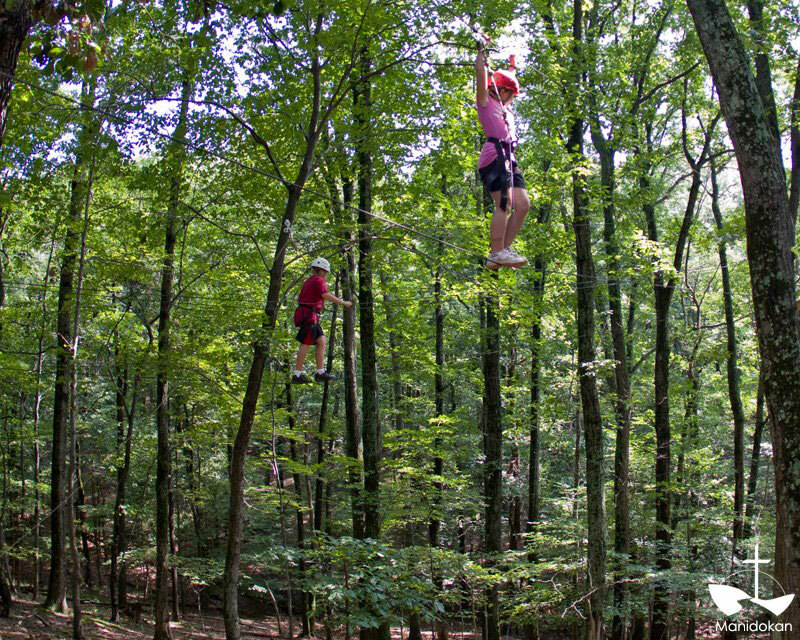 The zipline is the most popular high ropes element at Manidokan. 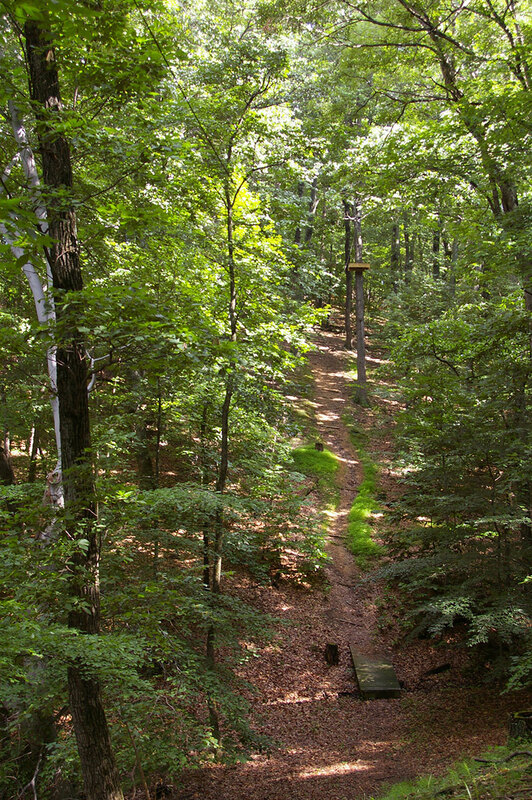 There are two ziplines, each offering unique experiences. 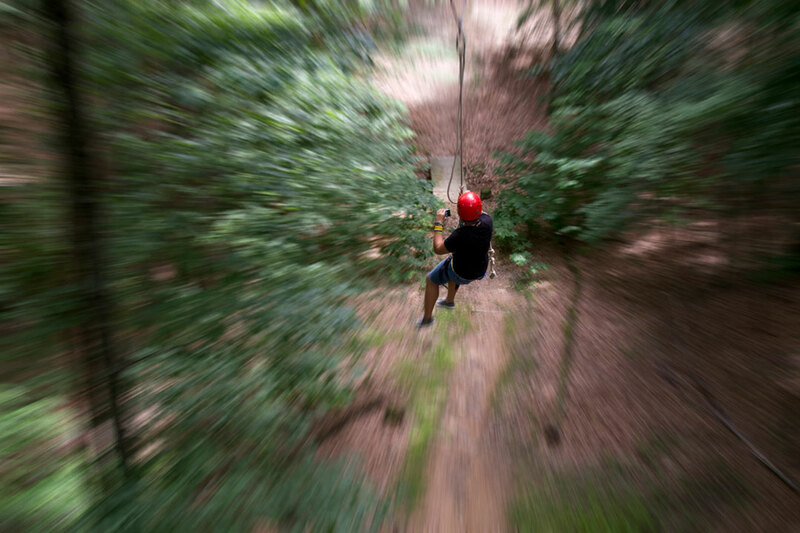 Participants use one of two approach cables to reach the zipline platform where they are then attached to the zip pulley and sent flying approximately 300 feet to the landing area. 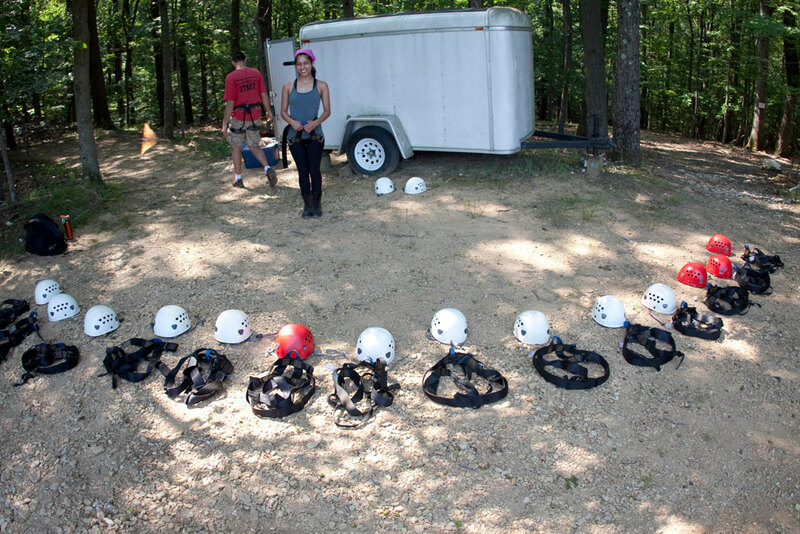 Participants are harnessed into safety equipment and reach more than 40 feet above the group. 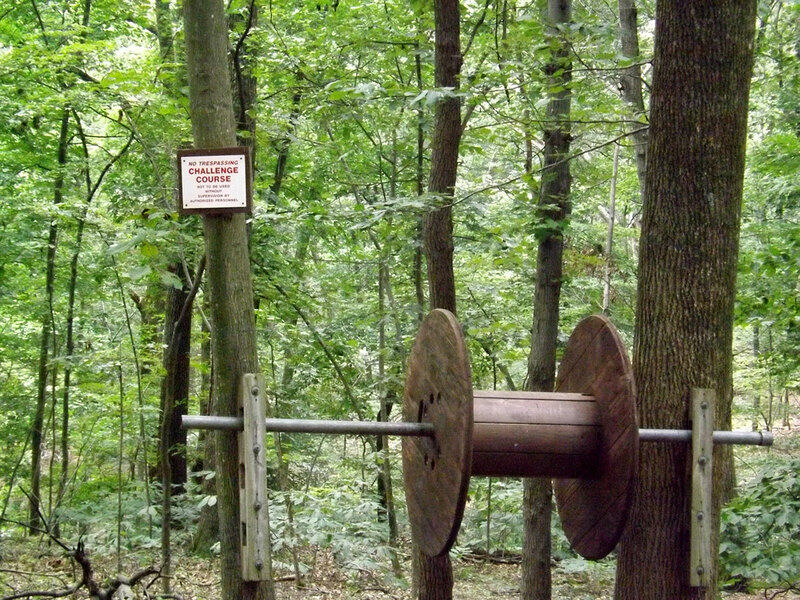 Must be reserved in advance. 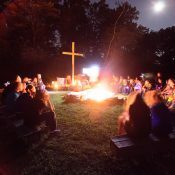 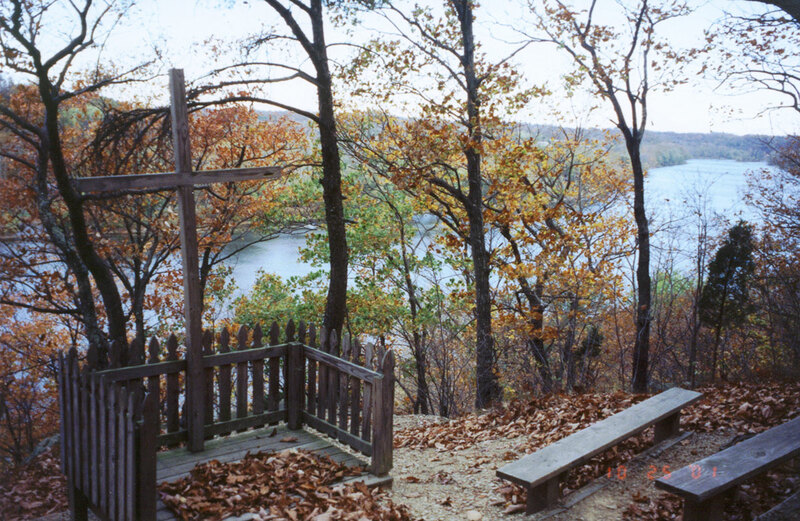 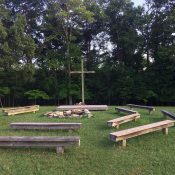 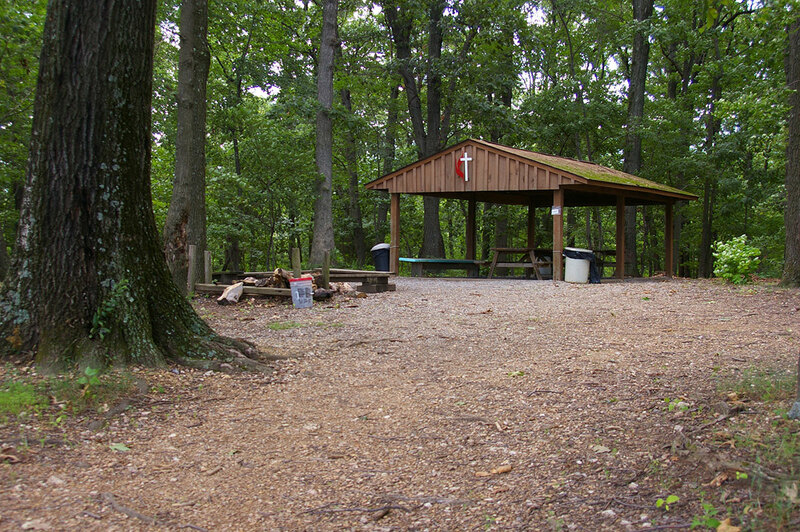 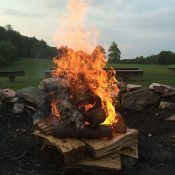 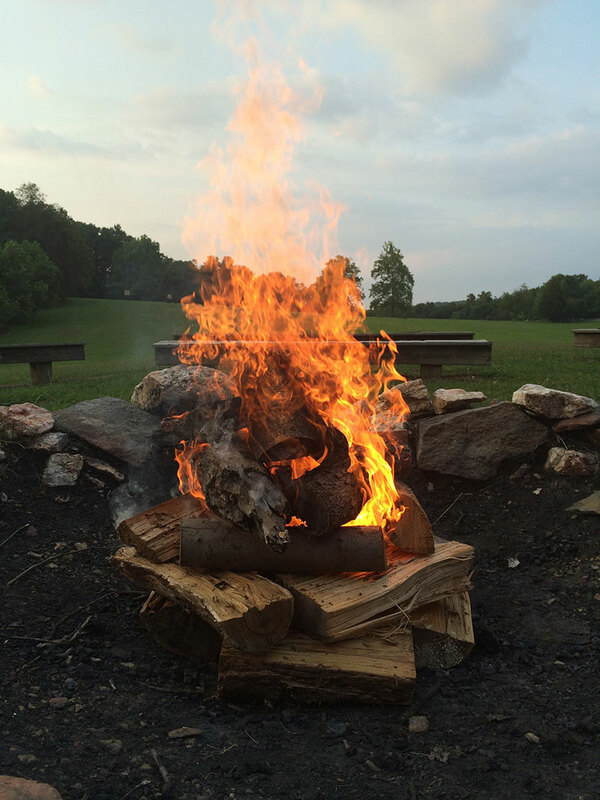 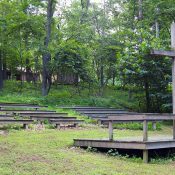 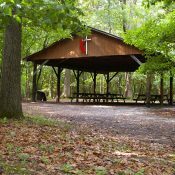 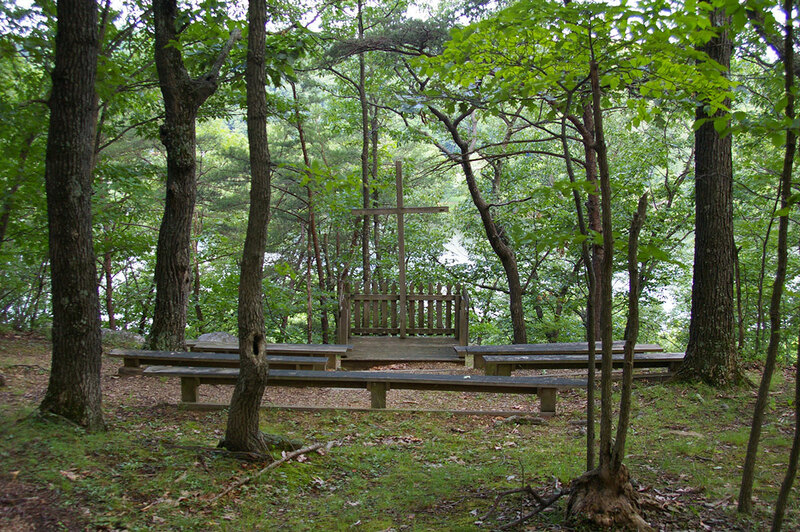 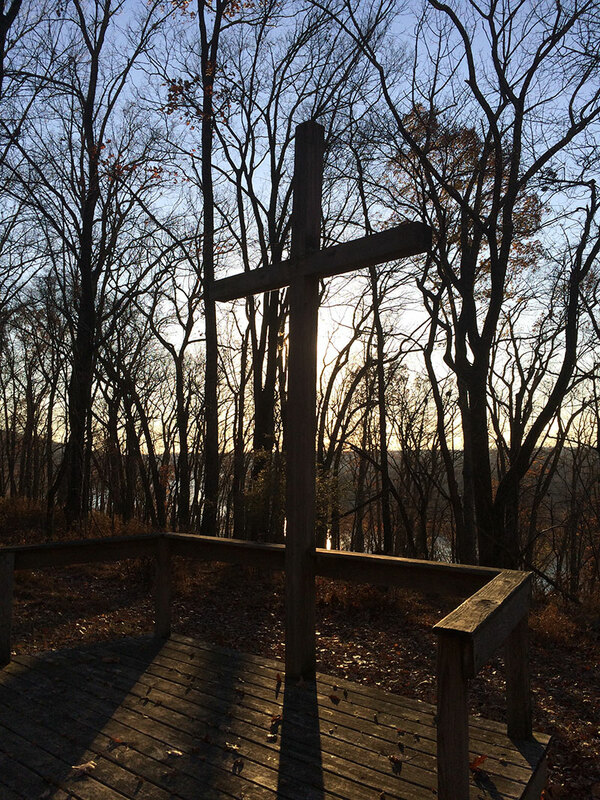 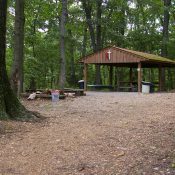 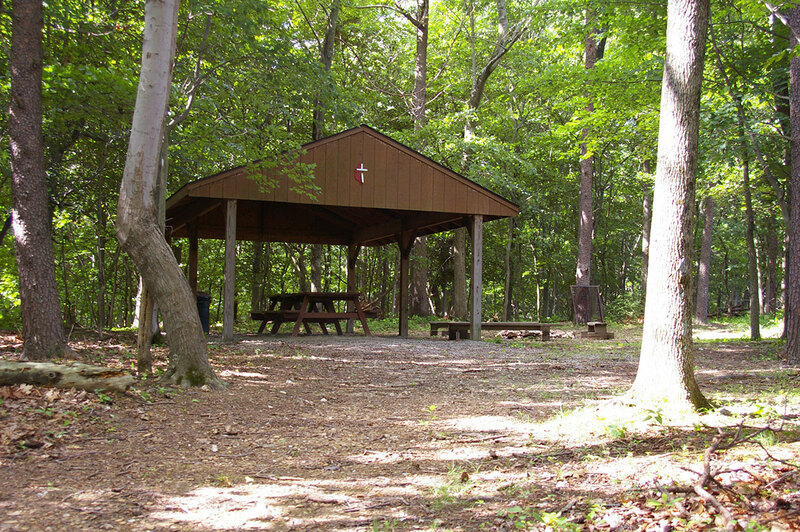 The main campfire ring is used for opening night worship during summer camp and is a great spot year-round. 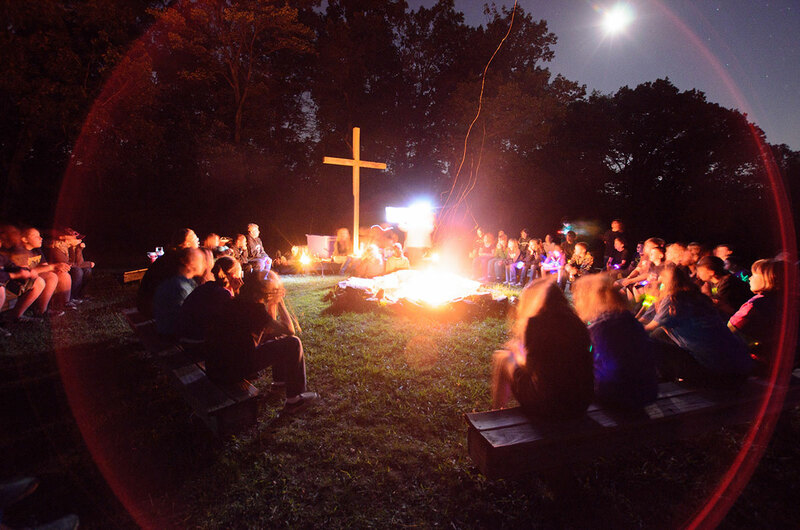 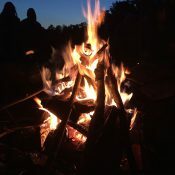 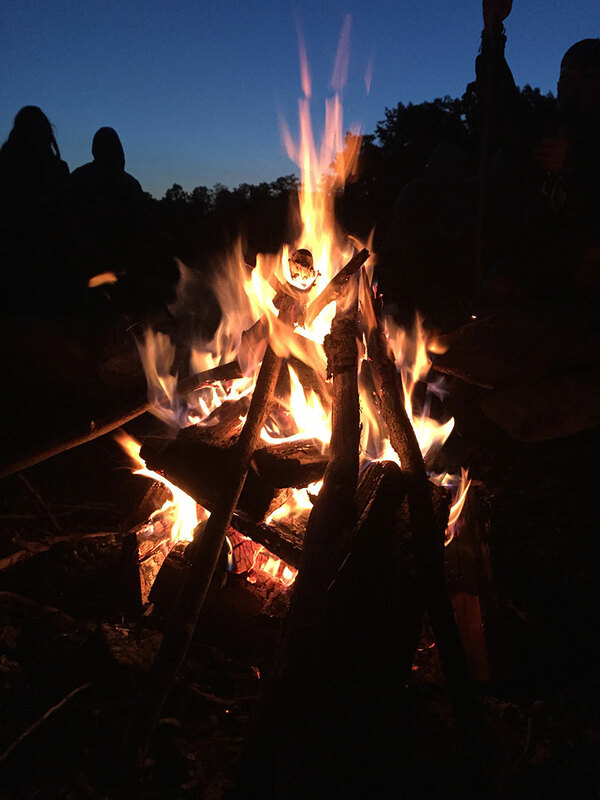 Amazing things happen around the campfire at night… and remember to bring the s’mores. 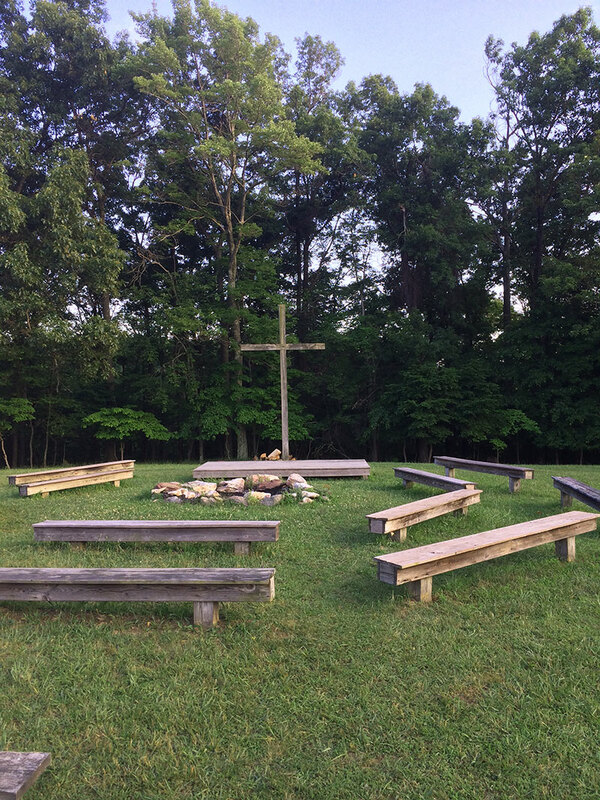 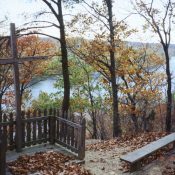 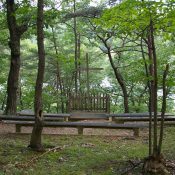 Our two outdoor worship spaces provide a beautiful setting for both large and small groups.